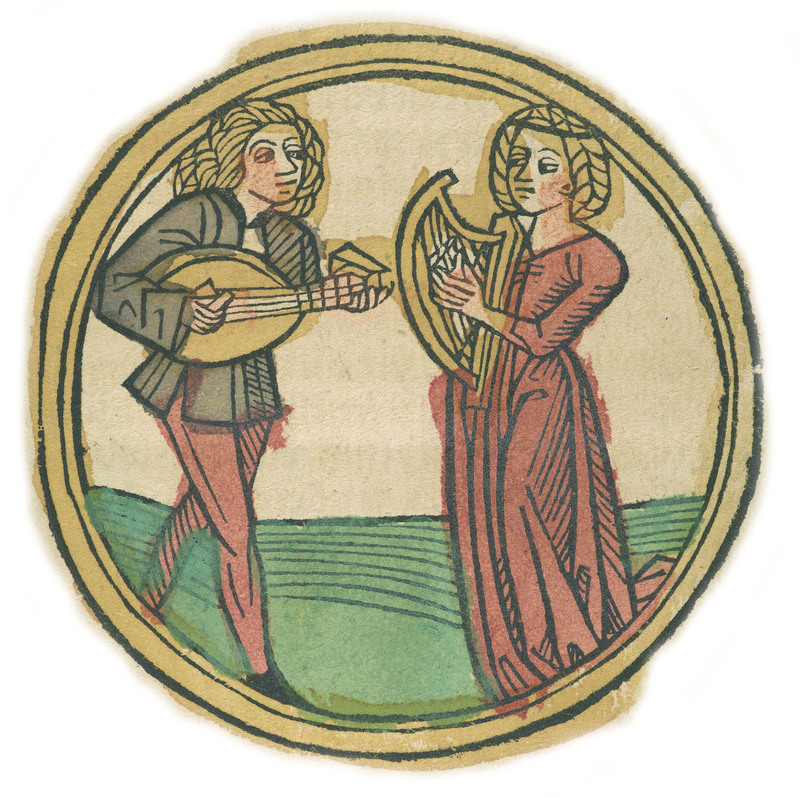 Phlegm, Image from Deutsche Kalendar, 1498. Courtesy Pierpont Morgan Library. Why am I sick? Why is he greedy? Why is she a shrew? In Shakespeare’s time, these questions would have been answered using the four humors. I realize that means very little to most people today. 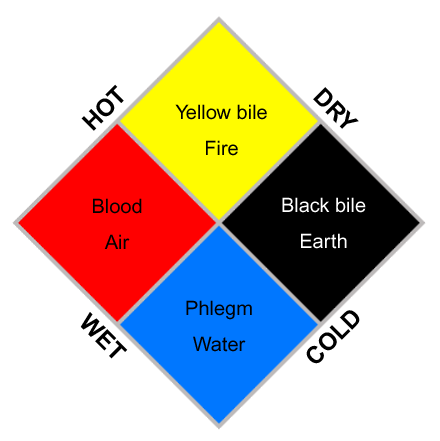 In Shakespeare’s world, people were thought to be ruled by four bodily fluids (called “humors”) — blood, phlegm, black bile (also called melancholy), and yellow bile (also called choler). Each of these fluids was believed to have inherent qualities that when in balance brought good health. When the humors were out of balance, illness and behavioral/personality problems resulted. Medicine focused on bringing the humors into balance. Each humor was associated with moisture and heat. So, to bring them back into balance, the physician might add the opposite quality or take away whatever was in overabundance. For example, heat would help someone suffering from too much phlegm or melancholy (“cold” humors). Bloodletting would help a person with a fever, who must have an overabundance of blood (a “hot” humor). How do I know all this? I live in a cool place (phlegmatic?!). The Folger Shakespeare Library is, of course, a very cool place for Shakespeare lovers. But there is a whole lot more coolness in the Washington DC area. There is the History of Medicine Division of the National Library of Medicine (NLM) located on the campus of the National Institutes of Health in Bethesda, Maryland. Why is this a very cool place for Shakespeare lovers? They currently have an exhibition called And There’s the Humor of It: Shakespeare and the Four Humors. William Shakespeare (1564–1616) created characters that are among the richest and most humanly recognizable in all of literature. Yet Shakespeare understood human personality in the terms available to his age—that of the now-discarded theory of the four bodily humors—blood, bile, melancholy, and phlegm. These four humors were thought to define peoples‘ physical and mental health, and determined their personalities, as well. The language of the four humors pervades Shakespeare‘s plays, and their influence is felt above all in a belief that emotional states are physically determined. Carried by the bloodstream, the four humors bred the core passions of anger, grief, hope, and fear—the emotions conveyed so powerfully in Shakespeare‘s comedies and tragedies. Today, neuroscientists recognize a connection between Shakespeare‘s age and our own in the common understanding that the emotions are based in biochemistry and that drugs can be used to alleviate mental suffering. 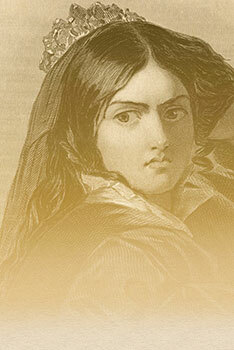 Bonny Kate, the Shrew (e.g., full of choler), W. Joseph Edwards, Angry face of Katharine Minola, 1847. Courtesy Folger Shakespeare Library. I attended a lecture called “Shrew Taming and Other Tales of the Four Humors” at NLM by Gail Kern Paster, the former director of the Folger and co-curator of the current NLM exhibition. According to Paster, Shakespeare’s audience would have understood life through the lens of the four humors, and there would have been no way for them to separate the psychological from the physical qualities attributed to the humors. So, she said to read Shakespeare “humorally,” that is, with the humors in mind, brings a much deeper understanding of his work. Paster calls the humors “a code largely opaque and unknown to us” since they have no place in modern medicine and are largely forgotten now. But she says they were pervasive in Shakespeare’s time, and taking the effort to look for the language of the humors (i.e. references to heat, cold, moisture, and dryness) helps decipher meaning in Shakespeare and adds depth to understanding his works. Paster focused her talk on the humors associated with three Shakespearean characters: Shylock, Ophelia, and Katherine Minola (bonny Kate, aka the Shrew). These characters were selected for the NLM exhibition because they displayed evidence of the “darker emotions” associated with melancholy and choler (much more interesting than boring phlegm which corresponded to a lack of activity). 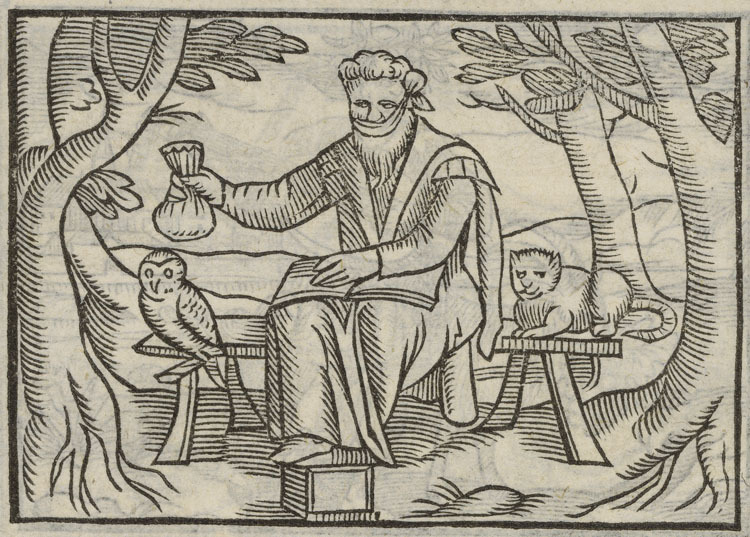 Melancholy, Henry Peacham, “Melancolia,” Minerva Britanna, 1612. Courtesy Folger Shakespeare Library. The humors were thought to literally make you who you were. Because humorism was so all-encompassing, Shakespeare couldn’t help but to write with the assumption that his audience understood the context, implications and references to these things that simply go right over our heads today. However, we can watch for triggers that indicate Shakespeare is speaking humorally… often when he is describing emotions in physical terms. The Greek physician/philosopher Galen expanded on the humoral system and added a whole host of other things to consider including the environment, place of birth, gender, age, etc. Paster noted that “The power of Galenism is it is so multifactorial… pick your factors and you have an explanation.” So, for example, the taming of Kate in The Taming of the Shrew involves manipulating a number of Galenic elements like diet and activity level to deal with Katherine Minola’s overabundance of choler. 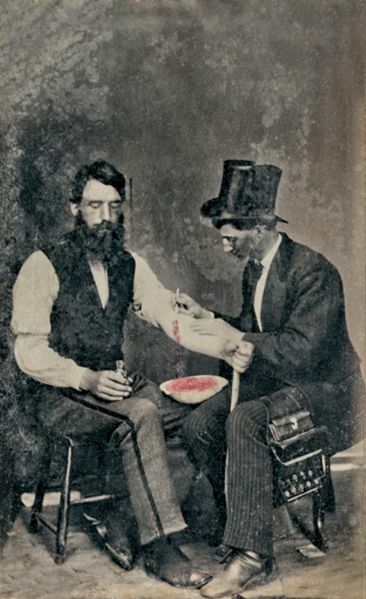 Bloodletting, 1860. Photo from the Burns Archive. Paster’s talk was fascinating and introduced me to a whole layer of “stuff” in Shakespeare that I had never before heard of. I have to say, I will certainly be on the lookout for humoral references from now on, even if I understand them imperfectly. The thing that amazed me most is that this system was used for about two thousand years, and it is only in the last 150 years or so that it has been almost completely erased. Bloodletting continued well into the 1800s. Think about how much things have changed! If you live in the DC area, you may want to take a trip to Bethesda to view the exhibition at the NLM. It will be on display at the History of Medicine through August 17, 2012. While you’re there, be sure to take in the very nice (and much bigger) exhibit on Native American medicine (you really need a couple hours to do it justice). The Shakespeare exhibition includes a traveling exhibit that will be touring the country. If you can’t see it in person (and even if you can, actually), check out the excellent website they have put together. For teachers, there are extremely well-done lesson plans for middle and high school, as well as a college-level teaching module. Maybe you will get as interested in humorism as I have!